1. A set of magnetic containers that will turn your fridge into the most convenient spice rack you've ever had. The set of six comes with a metal strip you can mount on your wall or backsplash, too, if you like the idea of a magnetic spice rack but don't have space on your fridge! The jar tops turn to let you sprinkle or pour. 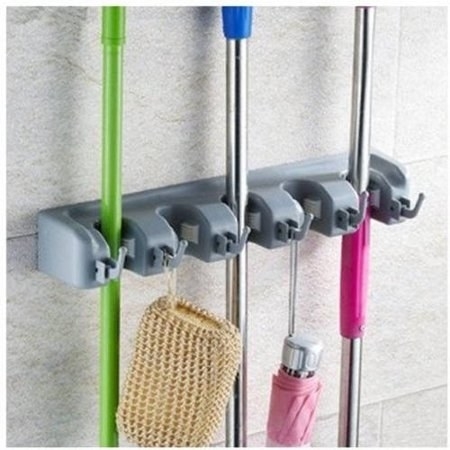 Get the set of six from Walmart for $17.01. 2. A lid rack to organize your pots and pans cabinet once and for all, so you can actually grab exactly what you need when you need it. Get it from Walmart for $6.50+ (two colors). 3. A tea organizer so you can toss that messy pile of half-empty boxes cluttering the top of your cabinet in favor of this neat, easy-to-use solution. It fits up to 180 tea bags and you can mount it on the wall, if you want. 4. A cheerful set of cherry red pots and pans to upgrade your ancient nonstick set that's beat-up and scratched beyond recognition. Get the 11-piece set from BuzzFeed's Tasty Collection for Walmart for $79. 5. 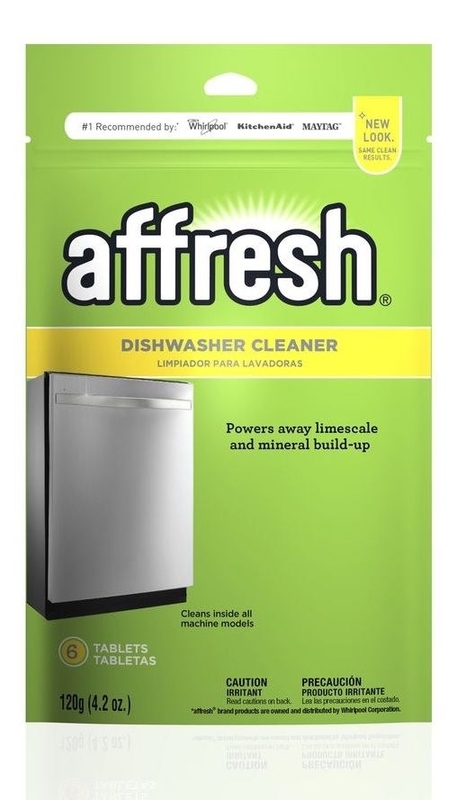 A pack of dishwasher cleaning tablets that will erase years of hard water mineral buildup with a single cycle. You get a six in a pack, which is enough to keep your dishwasher incredibly clean for six months... or a full year, if your water isn't *that* hard. Get them from Walmart for $5.40. 6. A nine-piece countertop blender set because it's the closest you'll get to smoothies that make themselves: you can just throw all the ingredients together (even the night before! ), press your cup down on the blender, then get on with your life. No big blender cleanup required. 7. A foil and plastic-wrap rack that mounts to a cabinet door so you can free up an entire shelf's worth of space *and* easily grab the parchment paper without pulling out every other box first. Get it from Walmart for $7.32. 8. 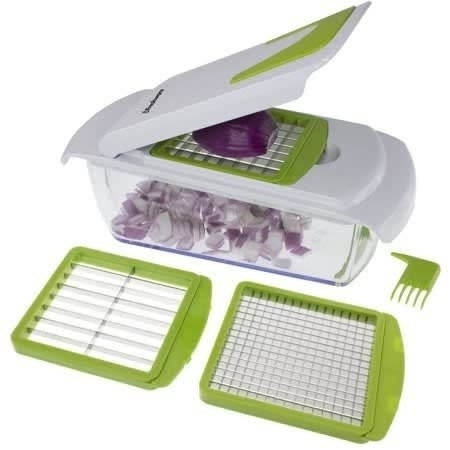 A four-in-one chopper and slicer so you can dice all the onions you need for that week's meals before you can say "cutting board". Get one on Walmart for $17.27. 9. A super-cushioned gel mat designed to give your feet some sweet relief whether you're prepping veggies, perfecting your spaghetti sauce, or just washing dishes at the end of the day. Get one from Walmart for $39.95+ (five colors available in two sizes). 10. 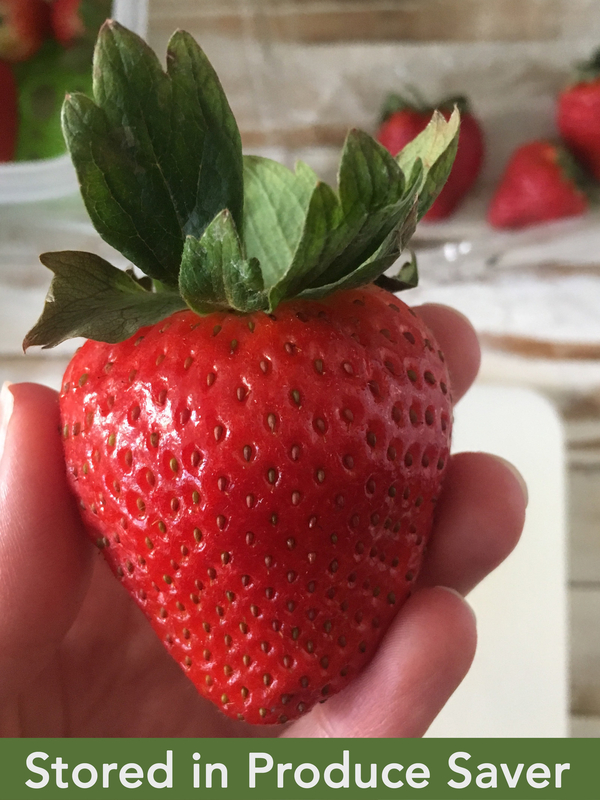 A set of three produce savers that really will keep berries, spinach, lettuce, bell peppers, and all kinds of fruit and veggies day-one fresh for nearly two full weeks. 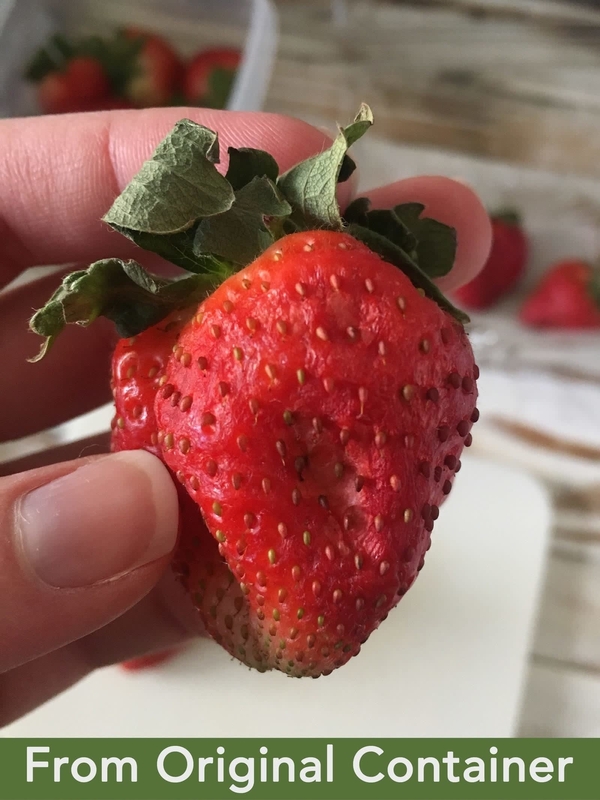 I know these work because I've tried 'em, and have been using them consistently for the past nine months or so — you can read my full Rubbermaid Freshworks review for more! You can also just buy individual containers if that's closer to your needs, but this pack of three's a good starter set. Get a set of three from Walmart for $22.98. 11. A treasure trove of colorful cooking utensils basically guaranteed to brighten up your kitchen, or at least make you smile every time you notice them. Get the entire set from BuzzFeed's Tasty Collection for Walmart for $19.99. 12. 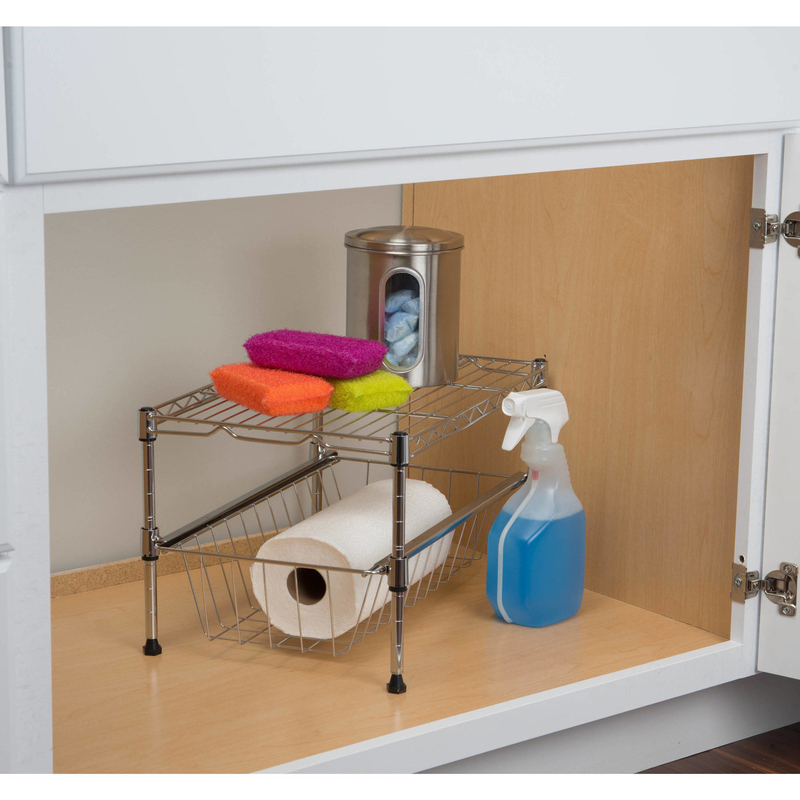 An under-sink drawer and shelf perfect for maximizing every inch of vertical space your cabinet has to offer. Get it from Walmart for $21.99. 13. 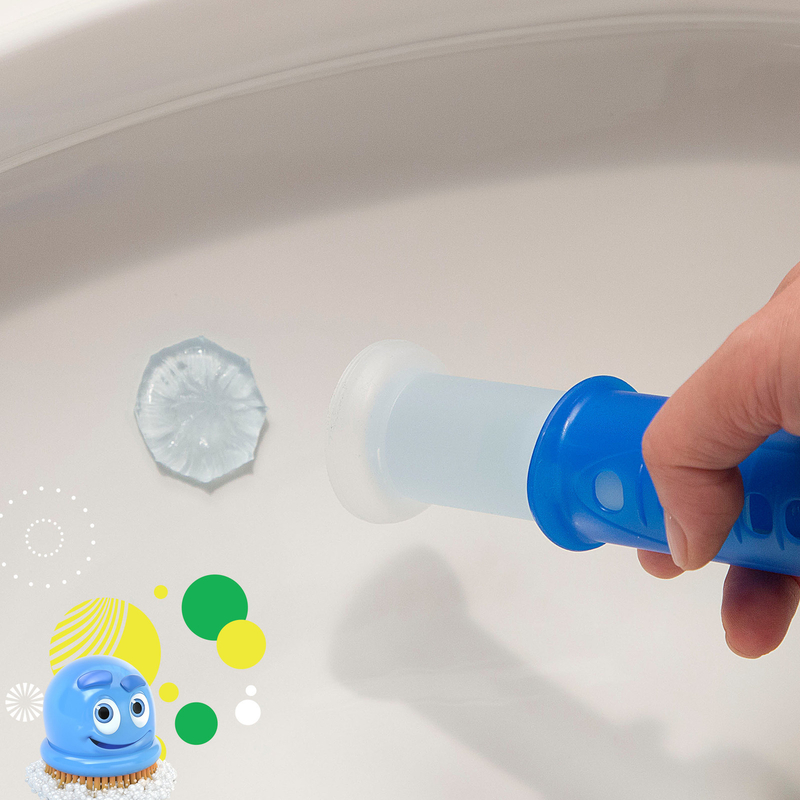 A stamp-in gel so you almost never have to scrub the toilet down again — it works every time you flush to keep the bowl sparkling clean for weeks at a time. Get a pack of 24 stamps (which can last for up to eight months) from Walmart for $10.48. 14. 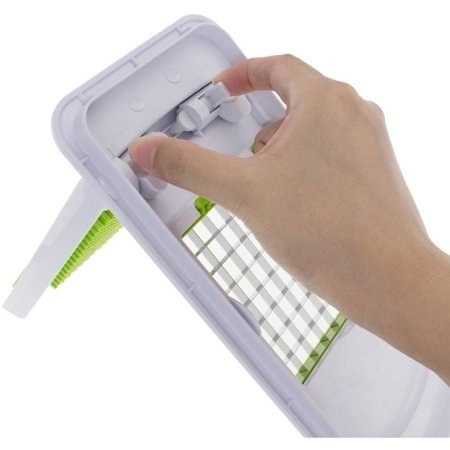 A simple soap dish that you can hang pretty much anywhere you need it, because it attaches to the wall with water-resistant Command Strips. 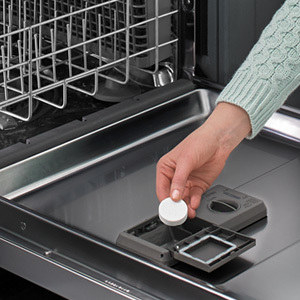 Plus it's engineered to drain efficiently, so your soap doesn't just melt in a puddle of water. To be sure it stays stuck, make sure to follow all the installation directions that come with it (including cleaning the wall with rubbing alcohol). Get one from Walmart for $3.69. 15. An acrylic makeup organizer — it's basically begging you to turn one corner of your bathroom counter into your dream makeup battle station. Get it from Walmart for $17.97. 16. 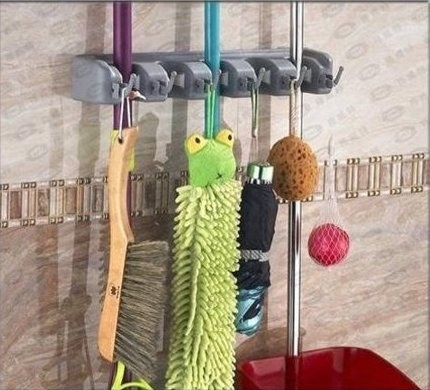 The Drain Weasel, which will reach into the depths of your pipes to extract the ominous hair-and-slime monster — aka the culprit behind your backed-up sink and shower. 17. 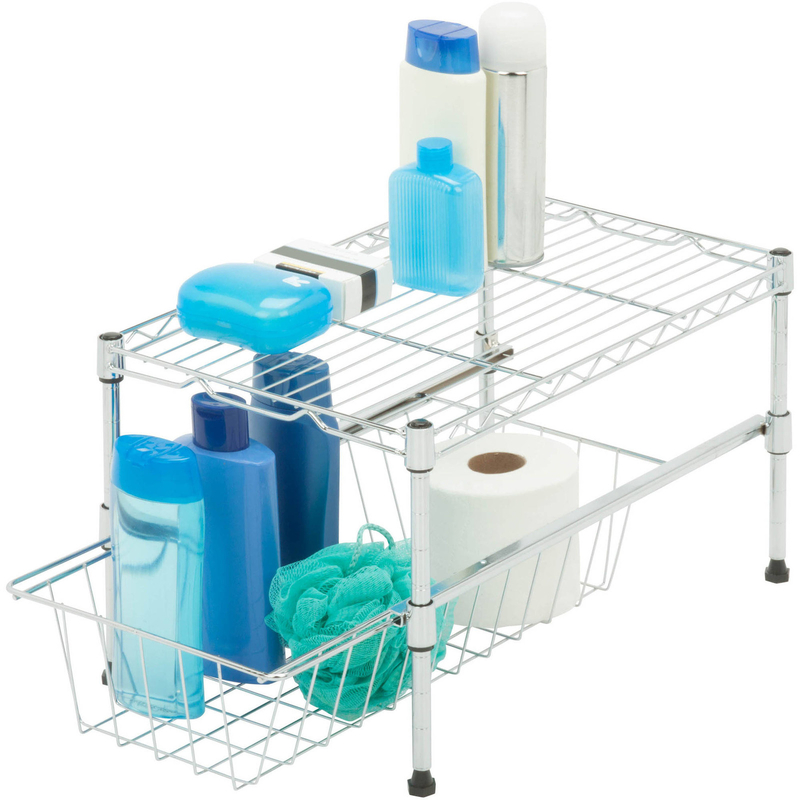 A shower caddy that suctions wherever works best in your shower or tub *and* holds full-size bottles. Your extra storage wishes have been granted! 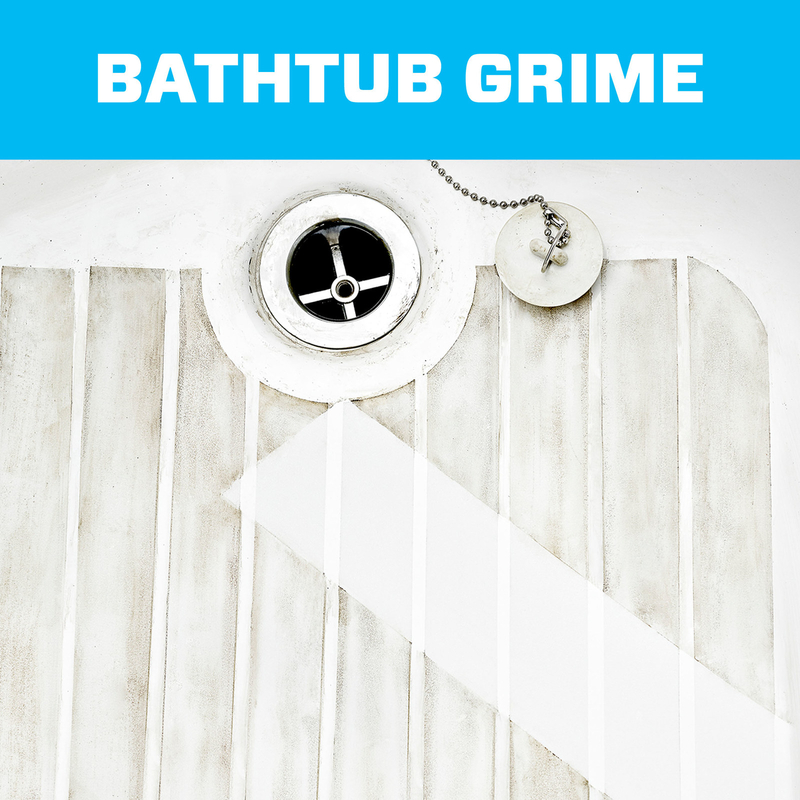 To make sure the suction cups stick and stay stuck, make sure both the cups and your shower wall are completely clean. Let the wall dry, then wet the suction cups and shake off the excess — and stick! 18. A grout cleaning brush with a cushioned grip because your hand might as well be comfortable when you're giving all the elbow grease you've got. Get it from Walmart for $5.45. 19. 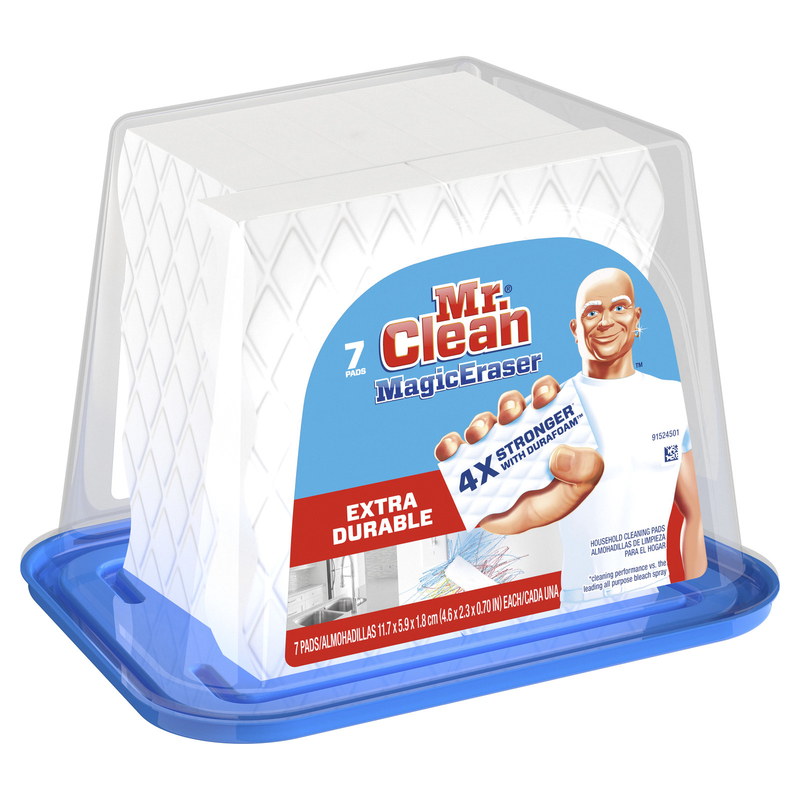 And a pack of Magic Erasers that are tough enough to scrub up even the scummiest soap buildup. Of course, it probably won't look QUITE so perfect as that marketing picture, but it will work! Get a pack of seven extra durable sponges for $8.14 from Walmart. 20. A down-alternative comforter — it comes in light, medium, and heavy weights so you can choose exactly what *you* need to be your coziest self night after night. Get it from Walmart for $16.09-$26 (available in Twin, Queen, and King). 21. A high-traffic carpet cleaner that — when it combines its powers with your vacuum — can make stained and dirty carpet look almost new. You simply spray it on your carpet, rub it in a little, wait for it to dry, then vacuum up the bits that are left behind. Get two cans from Walmart for $6.98. 22. 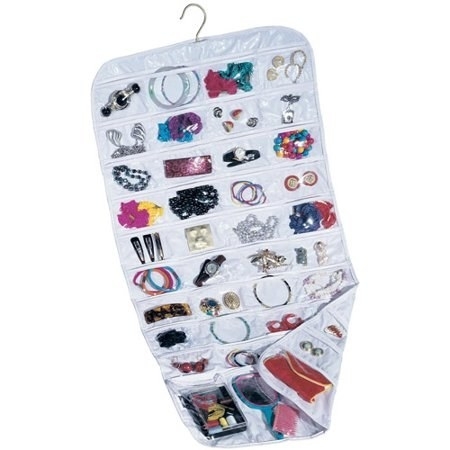 A double-sided 40-pocket jewelry organizer because when you have that many compartments, you can easily find exactly what you're looking for at a quick glance. I had something similar a few years ago, and you can easily keep it in your closet or on the back of your door. The flipping action is key — it truly makes this a functional solution for anyone with lots of jewelry! 23. A set of six drawer organizers so you can work a design-show-worthy before-and-after on your dresser. It comes with two small square boxes, two medium rectangle boxes, and two large rectangle boxes. Get the pack from Walmart for $5.97. 24. 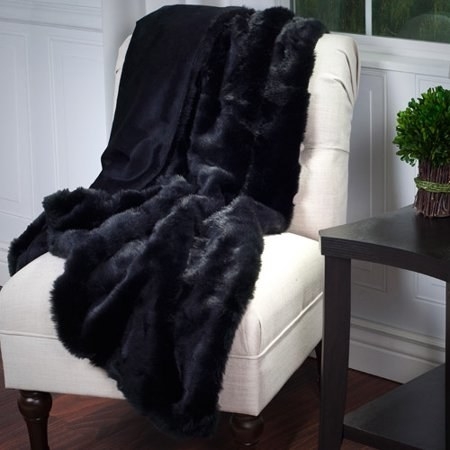 A faux-fur throw that, besides looking cozy-chic on your sofa, will also keep you warm while you watch your latest Netflix obsession. Get it from Walmart on Rollback for $49 (regularly $64.99; two colors). 25. A wall-mounted storage rack — it's a gigantic step toward the clutter-free laundry room/utility closet of your dreams. Get everything out of that messy pile in the corner, and up on the wall where you can easily grab what you need! 26. An expanding duster because some of us vertically-challenged people need something that extends up to six feet to be able to reach grimy ceiling fans and our highest bookshelves. Its head also swivels to lock into several different settings, depending on what works best for you and the dust you're trying to tackle! Get the starter set from Walmart for $11.97. 27. 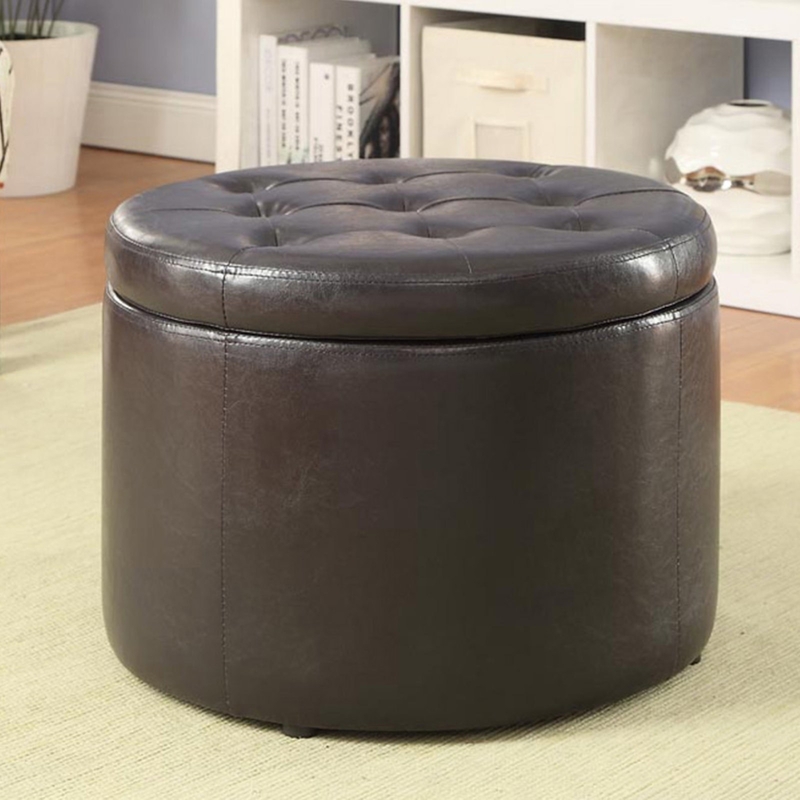 A faux-leather ottoman with ~secret shoe storage~ so you can buy that pair you've been eyeing for months, even if your closet's kinda full already. It has pockets around the edges for 12 pairs, plus extra space in the middle you can use to store whatever you want. Get it from Walmart for $65.53+ (three colors). 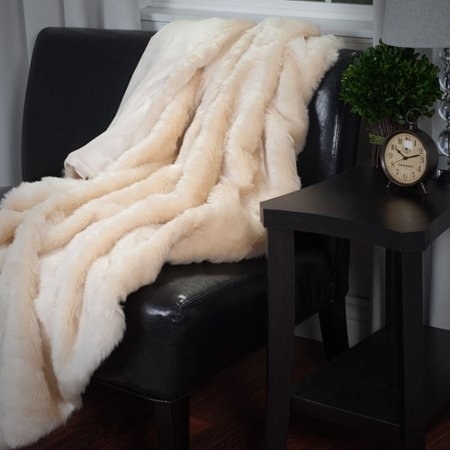 If you're looking for more great things for your home, we have ya covered!